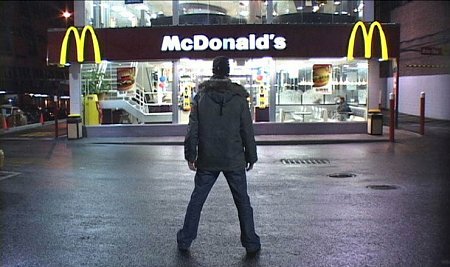 Brian Terrill's 100 Film Favorites - #43: "Super Size Me"
No one would think me a proper student of film if I neglected to include some documentaries among my “Film Favorites.” Well, here you go. The one and only documentary on this list. That sounds a bit harsh. I have come to appreciate the documentary form more in recent years, and I’ve seen several that are truly great films. However, at least in my experience, many documentaries lack the “re-watchability” of my favorite narrative films. Documentaries offer a glimpse of a person, or event, or a moment in time, and they introduce us to opinions or cultures we may not have previously thought about. They’re a great tool for expanding one’s horizons, and yet, once I’ve watched one, I rarely feel the need to watch it again. Any “broadening” that a documentary elicits is typically accomplished with the first viewing, and while afterwards I may look to other “docs” seeking a similar feeling of insight, it’s unusual for me to remember a documentary fondly enough to return to it again and again. 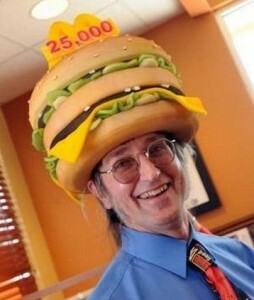 Super Size Me is one of those rare documentaries. I first picked up a copy of the film during a family road trip in 2005. It was among a pile of DVDs arranged out front of a Blockbuster video store, one of the first to close in the wake of Netflix’s growing popularity. I bought the DVD for something like four bucks, and watched it in the car with my brother. 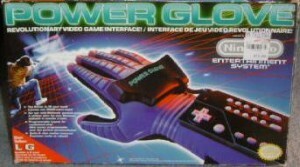 Maybe not the best four dollars I’ve ever spent (that honor goes to the in-the-box Power Glove I found at the Williamsburg Goodwill), but still a solid buy. The movie follows director / host / bold adventurer Morgan Spurlock as he embarks on an experimental journey: Inspired by contemporary lawsuits filed against McDonald’s by obese defendants, claiming that regularly eating the chain restaurant’s food made them fat, Spurlock decides he will eat nothing but McDonald’s for an entire month, and chronicle the effects this “McDiet” has on his health, weight, and well-being. Spurlock sizes up his fast food foe. 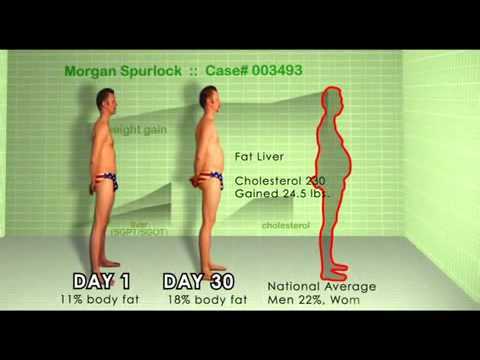 Spurlock sets some rules for himself: Over the course of the month he will eat three “square meals” of McDonald’s food a day, ingesting nothing from other sources (even his water must be bottled water purchased from Mickey-D’s). He will only “Super Size” his meal if offered by the cashier, but if it IS offered he must do so. He intends to eat every item offered on the menu at least once. Finally, Spurlock opts to limit his daily walking, from his own average of roughly 3 miles a day to the American average of 1.5 miles. Before beginning his hypercaloric expedition, Spurlock visits an assortment of physicians and nutritionists, who find him to be reasonably physically fit and healthier than the average American. The general consensus among the doctors is that, while Spurlock’s “experiment” certainly won’t be “good for him,” the effects of the dietary change over just a month will likely be slight to negligible. And with that, Mr. Spurlock’s quest commences. On Day 2, he Super Sizes for the first time, and promptly pukes (to employ internet vernacular, I believe this qualifies as “weak sauce”). By Day 9, he has already succeeded in eating every menu item at least once. By mid-month, he claims to be experiencing mood swings and chest pains. 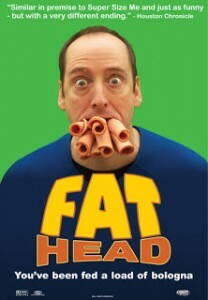 By the start of the fourth week, he has already gained considerable weight (and developed fatty deposits in his liver), and the physicians who had laughed off his idea in the beginning now seriously urge him to stop (with one doctor comparing the “experiment” to Nicolas Cage’s efforts to drink himself to death in Leaving Las Vegas). Nonetheless, Spurlock finishes out his McMonth…over the course of which he averaged an intake of 5,000 calories a day, and gained roughly 25 pounds. His fiance assures him (and the viewer) that everything will be okay, as she has an all-vegan “detox diet” lined up for him. I personally would’ve rather died, but hey, whatever floats his boat. The ending credits reveal that McDonald’s removed the “Super Size” option from its menu shortly after the movie premiered at film festivals. You might think just watching a guy eat for an entire movie would get boring, but Spurlock does a great job of keeping the documentary lively. He intersperses the “experiment” narrative with interviews with doctors, lawyers, and, most entertainingly, people who can only be termed “McDonald’s experts.” My favorite interviewee is a man named Don Gorske, who has eaten virtually nothing but Big Macs for 20 years (the film features his local McDonald’s celebrating Gorske’s 19,000th sandwich). The remarkable thing? In contrast to Spurlock’s experience, Gorske has remained relatively svelte. He attributes this to simply eating one Big Mac each for breakfast, lunch, and dinner, while refraining from snacking or “combos” (he states that he rarely eats fries, for instance). In recent years, Gorske’s tally has continued to climb. This is the main criticism of the film. According to critics, Spurlock’s weight gain resulted not simply from eating McDonald’s food, but from eating it in abnormally large quantities while simultaneously adopting other unhealthy lifestyle choices (such as ceasing his usual fitness regimen). His journey only “proves” something no one was contesting: That eating large quantities of fatty food results in weight gain. 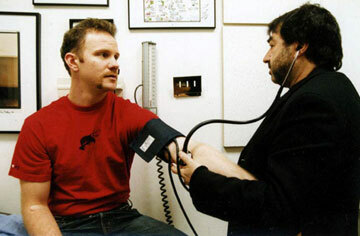 There has also been doubt cast on Spurlock’s “5,000 calories a day” claim. Subsequent researchers have determined that three of the kinds of meals depicted in the film (up to and including those with “Super Size” components) would amount to a larger-than-suggested daily calorie count, but still far short of the 5,000 mark. There has even been an entire documentary dedicated to debunking the results of Spurlock’s documentary. One complaint often raised about documentaries is that they serve as a means for a filmmaker to push an agenda. While narrative films can certainly also have a message and be “preachy,” documentaries, especially ones where the filmmaker himself is a vocal presence and “character” within the story, can seem more blatant in their proselytizing. I generally try to avoid expressing polarizing political opinions (no sense in alienating people who might otherwise be one’s friends). However, I feel I need to say the following here: I don’t believe fast food chains or other purveyors of “unhealthy” foods should be held responsible for obesity, which results from the individual’s choice to not only eat fatty or sugary foods, but to do so in excessive quantities. In recent years, most courts have sided this way as well, dismissing lawsuits like those addressed in Super Size Me as frivolous and spurious. However, I think Spurlock’s intent is for his film to do more than just defame McDonald’s. The movie shines a spotlight on the obesity and the sedentary lifestyle on the rise among the American people, and encourages us to consider our diets more carefully. 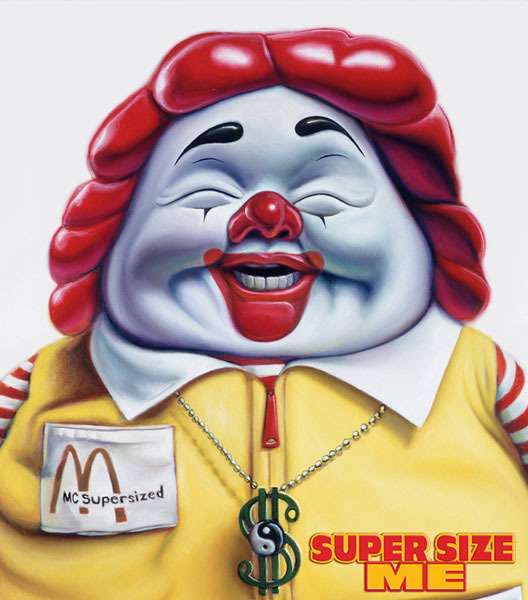 But the memorable quality of Super Size Me comes from more than its message. This movie is fun. Among the documentaries I’ve watched, I’ve most enjoyed the ones (like this film and the works of Michael Moore) which feature the filmmaker himself in an active role. 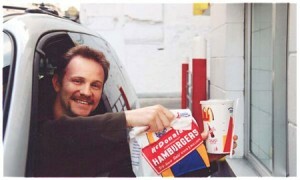 In Super Size Me especially, you get the feeling that you are really accompanying Morgan Spurlock on an adventure. He’s looking into the camera and saying, “Come with me.” And that’s where the (often underexploited) entertainment value of documentary film lies – documentaries have the power to bring you into the action of real places and events as they unfold, and when we see those experiences through the eyes of a charismatic host, it’s nearly like experiencing them ourselves. Done successfully, this can create a level of empathy even greater than that found in narrative film. 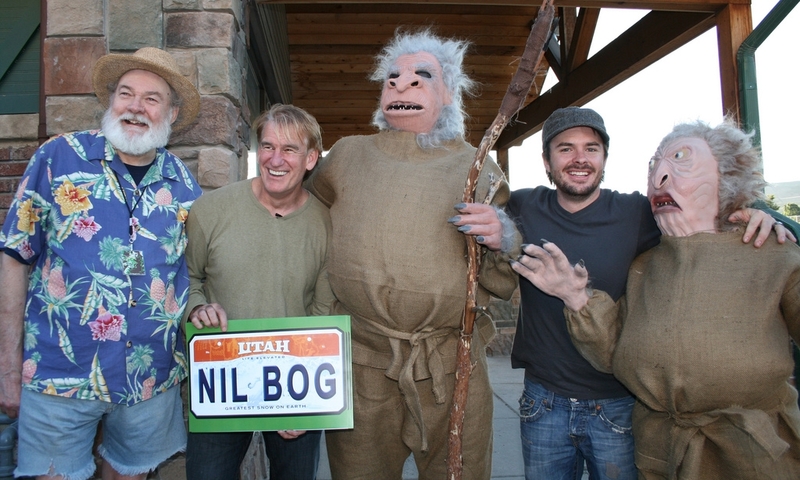 –Best Worst Movie, which chronicles the making, and subsequent rise to cult status, of Troll 2, often considered the “worst movie ever made.” It’s directed by Michael Stephenson, who played Troll 2 protagonist Joshua Waits. –Bones Brigade: An Autobiography: I first saw this at the W&M Global Film Festival this past February. It chronicles the founding of the Bones Brigade, a team of skilled young skateboarders who essentially created the field of “pro skating.” The film highlights the most famous Brigade member, Tony Hawk, but also introduces us to the other teammates, all pioneers in the sport. Definitely check it out. As a plus, it’s on Netflix Instant-Watch. During the Skype Q&A, I asked Tony Hawk whether you really have to pass through a subterranean skating course to access his house, as depicted in the “Hawk’s Nest” episode of “Rocket Power.” He said that’s what people should continue to believe. The Rock-afire Explosion: This film tells the story of the titular “rock band” of animatronic animal performers. “The Rock-afire” were initially featured at Showbiz Pizza, a pizza parlor / arcade and rival to Chuck E. Cheese’s in the early 80s. The narrative charts the meteoric rise and fall of Aaron Fechter, founder of the Creative Engineering robotics company and designer of the Rock-afire Explosion “musicians.” Commissioned to build hundreds of bands by 80s fat-cat businessmen (even in documentaries, no one is safe), Fechter suddenly found himself saddled with debt and dozens of surplus bands when the investors realized the parlors were losing money. Showbiz merged with Chuck E. Cheese’s, and rather than pay Fechter royalties for the use of his characters, Chuck E. Cheese’s simply made up new characters and literally slapped new skins over the robotic skeletons of the Rock-afire Explosion. Now, their story is finally coming to light, and their profile is rising once again: With some (incredibly) die hard fans purchasing and creating custom routines for their very own Rock-afires, the band has been taking the stage once again via YouTube, and garnering anew a cult following of nostalgic 80s children.